You sit down at an arcade cabinet, settle in, and get ready to play some “King of Fighters 98: The Slugfest”. The tournament is about to start and you’re getting that much needed practice in before you go on stage. In the station adjacent, a little boy is mashing away at a HRAP fight stick with an adorable obliviousness in the King of Fighters XIV. His mother is not too far away, but is keeping her distance to let him play on his own. He fumbles with the controls and enters into options. The little boy seems confused as he accidently hits the Playstation home button to take him out of the game. Breaking away from practice, you get up and adjust the controller for him and set him into training mode with your favorite character. You see the little boy’s eyes light up after you explain the controls the best you can and let him try out something new. The boy comes up to you 10 minutes later to ask how to play a different character or play the computer. You smile and oblige him, getting him setup with story mode. That was one of many memorable experiences I had at Retro City Festival. When & Where was it held? 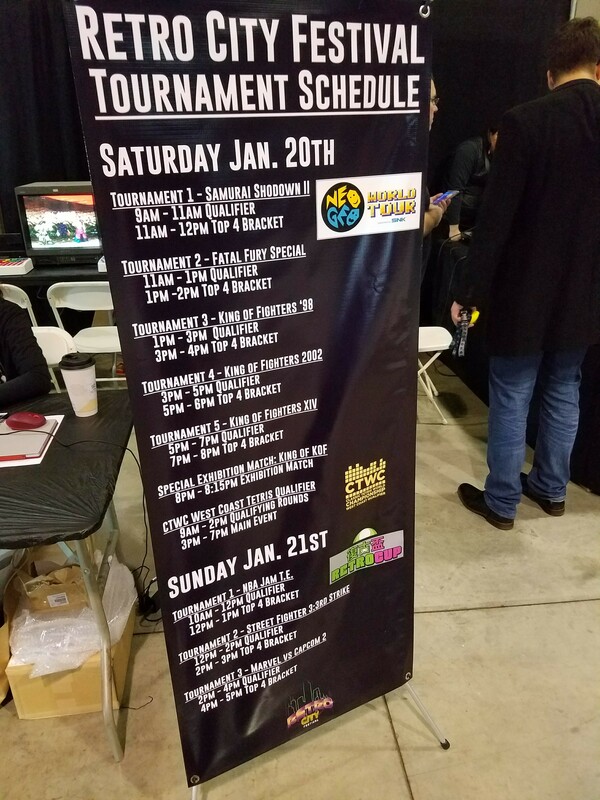 On January 20th, the NeoGeo World Tour kicked off at Retro City Festival in Pomona, California. The event was exciting from start to finish while highlighting NeoGeo classics as main features. People came with a passion and love for each game from Samurai Shodown II to King of Fighters 98. That passion was shared by prominent players like Laban9898 to the commentators like Phil Moore, host of the Nickelodeon game show “Nick Arcade”. The event was very enjoyable because of the experiences players received, the production and staff were amazing, and the tournaments made every game matter. What is Retro City Festival? 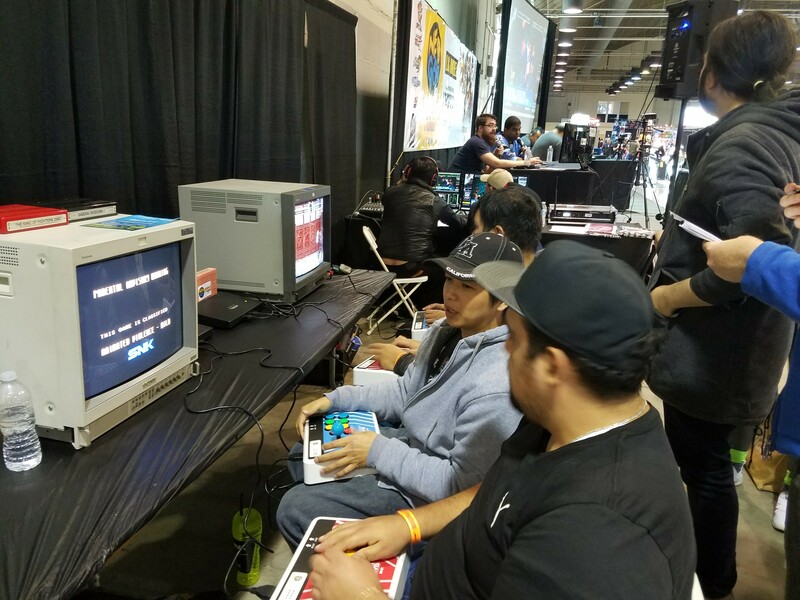 Retro City Festival is a homage event to an era of arcade cabinets, SNES, and N64 games. Rows of Neo Geo and Taito machines were set to gameplay from Metal Slug to Galaga. The NeoGeo World Tour is managed by Retro.HK, an organization that facilitates the largest retro convention in Hong Kong called the Retro HK Gaming Expo. What games can people play there? Each tournament, except XIV, was run on arcade versions of the games. Samurai Shodown II, Fatal Fury Special, KOF 98, and KOF 2K2 were using Neo Geo MVS cartridges. 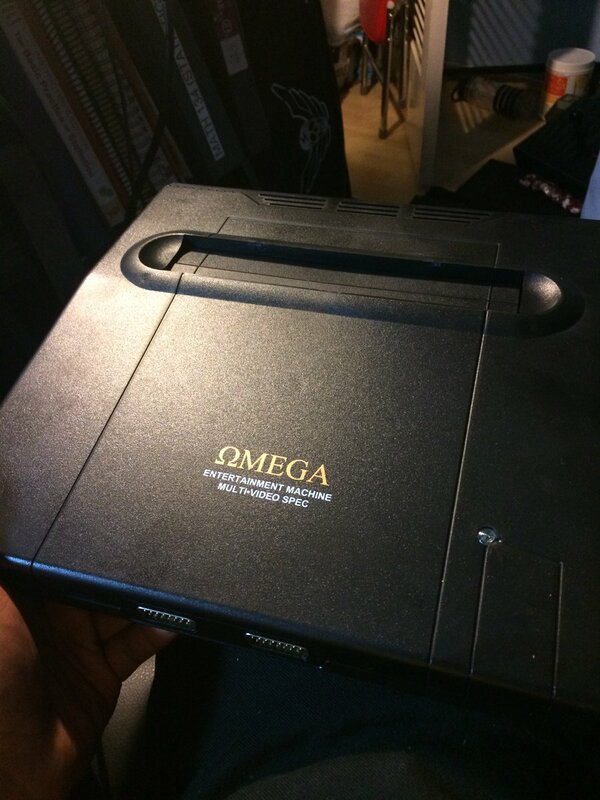 Arcade Works Omega provided two of their company’s “NeoGeo Omega” systems. This hardware brought the arcade experience with a console size. All the retro games were played on CRTs as well. From 9AM to 8PM, people could walk right up and play whatever game was available. It was fun watching people who’d never played any of these games before pick them up and have a good time. Luis Cha and TC Y05HI, world-class players in the Southern California area, came to compete and play as well. It was hilarious to watch Luis Cha attempt glitches in 2K2 or perform difficult combos with his favorite characters. The King of Fighters XIV setups were updated, but did not have all the DLC. How was the event presentation? Spectators were able to enjoy the tournament whether they were in the venue or away from it. NeoGeo World Tour presented all the games from their twitch account: www.twitch.tv/neogeoworldtour. Sean Aldas and Phil Moore commentated from 10AM to 8PM. What made the two so much fun to watch was how much fun they had with participants and watching the game. Hiccups in production or scores were corrected quickly and tournaments concluded on time or ahead of schedule. The competitors came up on stage with two cameras trained on them. 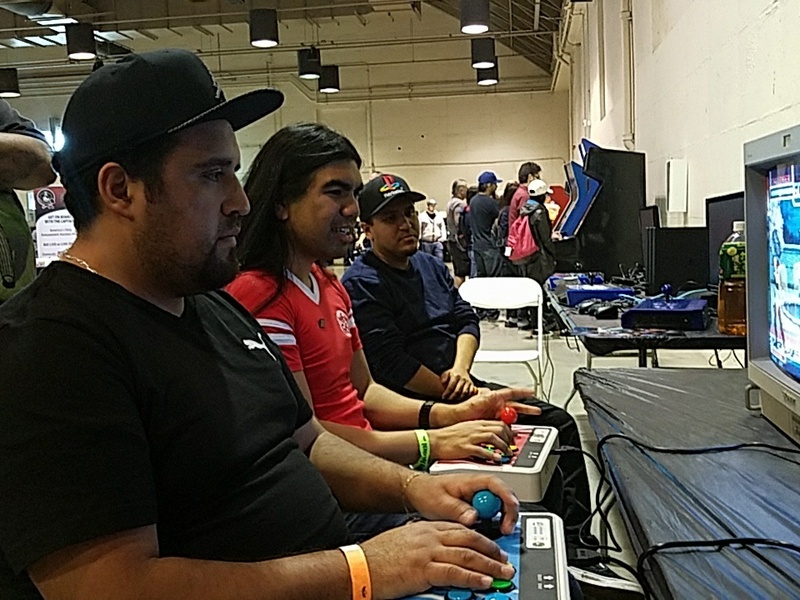 Whether you were in the rows of seats at Retro City Festival or at home watching from twitch, you could see participants (like me) get frustrated at loses or excited at winning. Competitors, like Laban98, were exciting to watch as they displayed their skill and personality up on the big stage. 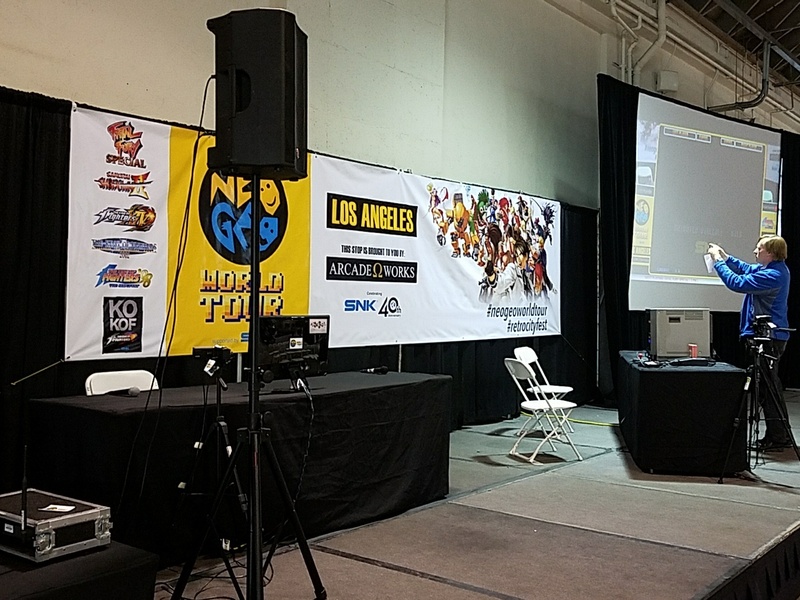 The Neo Geo World Tour occupied the main stage of the venue for all of Saturday. Announcements about the Top 4 participants duking it out were made on the loud speaker to draw people in. How was the tournament experience for players? What prizes were given out? The tournament for participants was a great experience from start to finish. 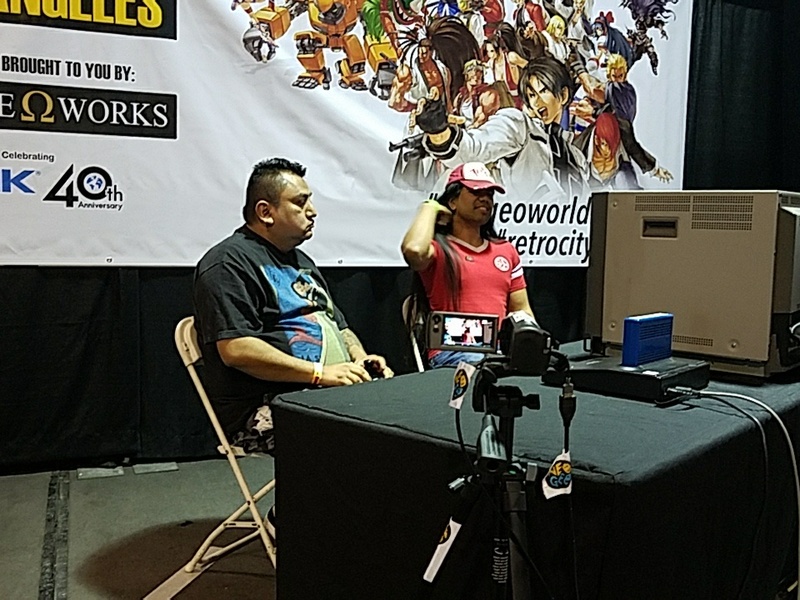 The games featured at the Retro City Festival stop on the World Tour were the following: Samurai Shodown II, Fatal Fury Special, King of Fighters 98: The Slugfest, King of Fighters 2002, and The King of Fighters XIV. All games played down to the top 4 in a single-elimination tournament with the top 4 playing on stage. The tournament ran smoothly. When top 4 was being run, a new qualifying round for a game was happening. Hand-drawn paper brackets and staff members cheering on players whether they won or loss was welcome and nostalgic. Sign-ups were taken the day of the tournament. People from the surrounding areas came to participate and had been there since 9AM to play their game of choice. If you were at the festival, your entry was free. Luis Cha and YO5HI came during the 2002 tournament and showed off their world-class talent. The prizes ranged from SNK E-sports items like postcards and folders to NeoGeo Omega consoles, MVS cartridges, and a PS4! The exhibition participants won hoodies and jackets with the NeoGeo World Tour logo as well. The tournament ran seamlessly except for a few hiccups in scores and hardware. 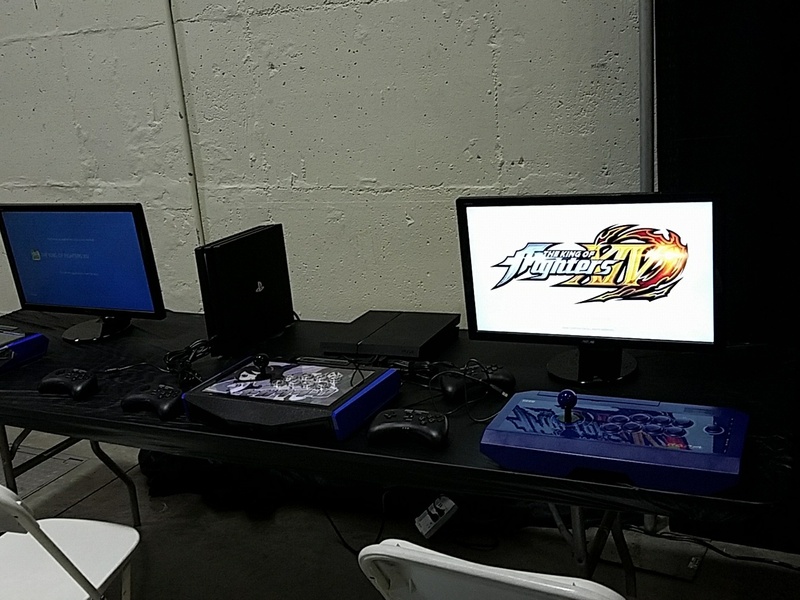 At one point, a clean PS4 had been used for the first top 4 match of KOF XIV. Stream viewers caught it, the setup was switched out, and the match was replayed soon after. There were some “Steve Harvey” moments that were both memorable and humorous. It was all in good fun. 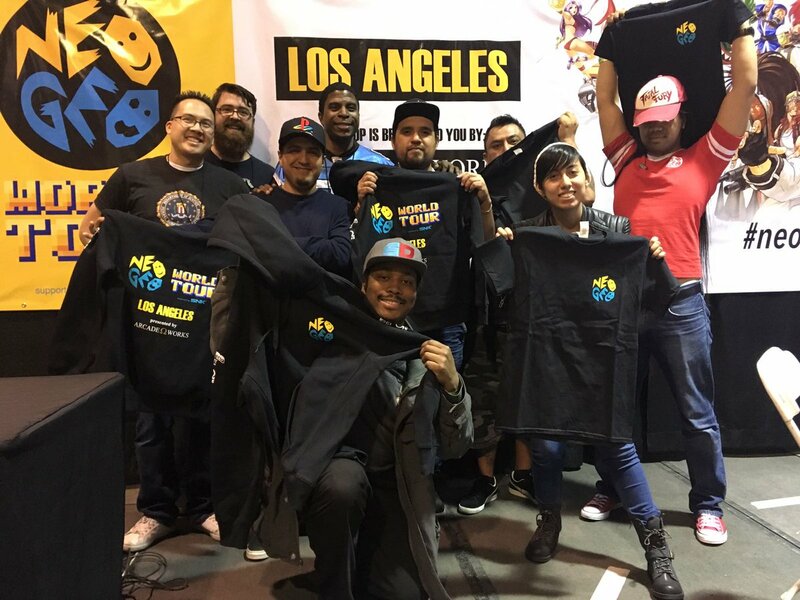 The finale was the first ever: “King of King of Fighters” exhibition where runner-ups and champions competed in a 3 on 3 team slugfest through 3 different titles. The challenge was fun because it took the skilled players out of their strategies and showed the audience something they may never have seen before. Sum it all up, the experience I had during the event was positive, the production was sound, and the tournament was exciting to both watch and participate. I would be glad to see the King of King of Fighters Exhibition format be used more and refined. I would also love to see what the future holds. Retro HK would like to explore more of the Americas. I would be happy to see events in the East Coast like CEO in Florida become a stop. I would also be glad to see events in Mexico like ThunderStruck VI becoming a stop as well as more events in South America. 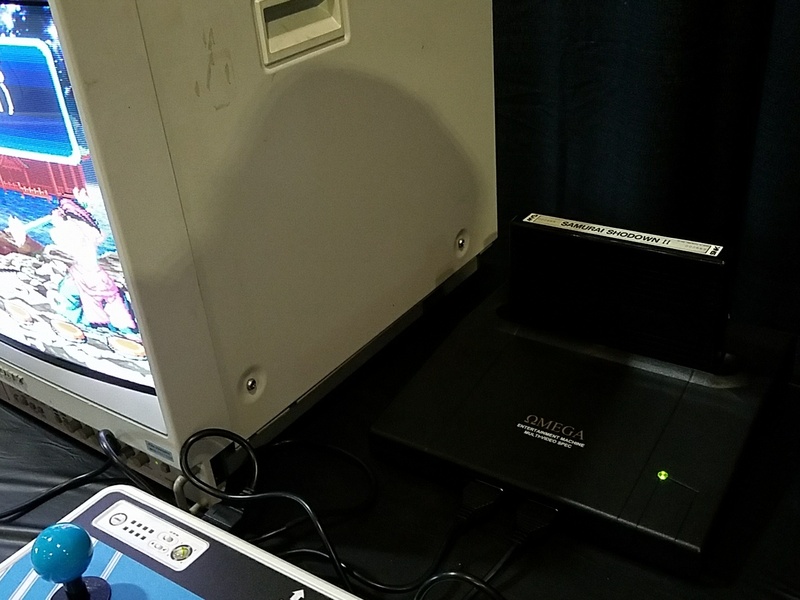 I had a great time at the Neo Geo World Tour at Retro City Festival. I hope that more SNK fans worldwide will get to experience the things I did as well!